Urban Man is a sculpture of a man with elongated legs and a round torso from which asafetida-like bags dangle. 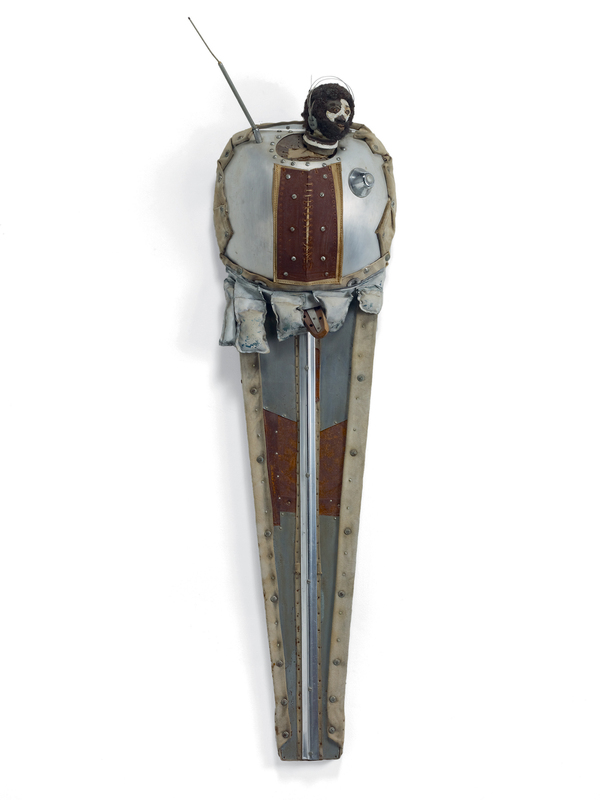 The legs and torso of the figure are assembled from found metal and leather. The head, which is cocked to the left, is smaller than the body and covered in curly black hair. He wears headphones, and an antenna protrudes from his back. In Urban Man and the other works from the Ethnic Heritage Group, Outterbridge explored the relationship of the past and history to figures and forms of the future. "Urban Man, from the Ethnic Heritage Group." Now Dig This! Art in Black Los Angeles, 1960–1980 Digital Archive. Los Angeles: Hammer Museum, 2016. https://hammer.ucla.edu/now-dig-this/art/urban-man-from-the-ethnic-heritage-series.